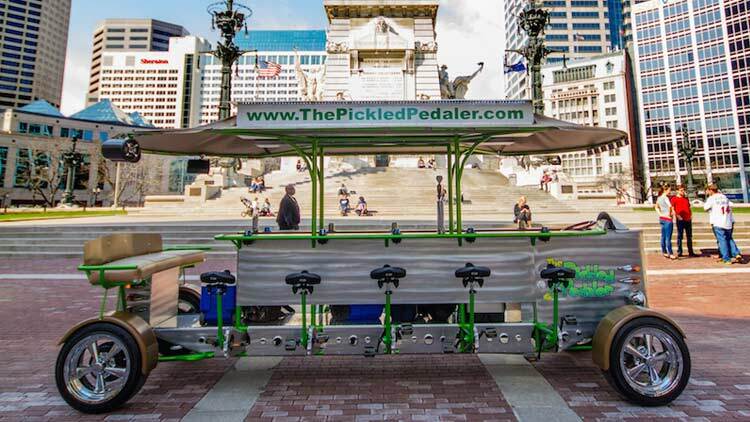 The Pickled Pedaler is Indianapolis' hottest party on wheels! 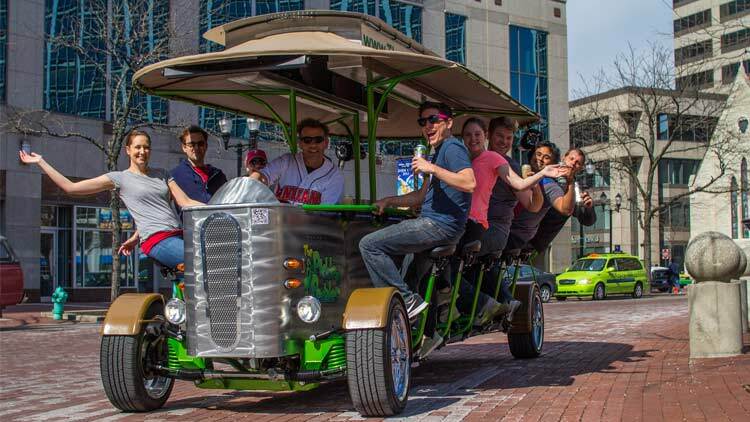 This custom-designed 14 passenger party bike is built for comfort and FUN! With it's sleek design, LED party lights, premium sound system, and state-of-the-art electric pedal assist (no need to exhaust yourself), this experience is for everyone! BYOB! Yes please. We provide one large frosty cooler on board. Don't forget the ice! Beer and wine only. No glass permitted. 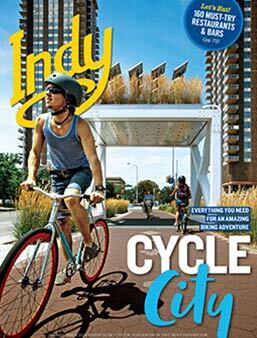 Come and pedal with us to the pubs, breweries, and restaurants on Indianapolis' beautiful downtown streets for an experience like no other with the best drivers in the city. 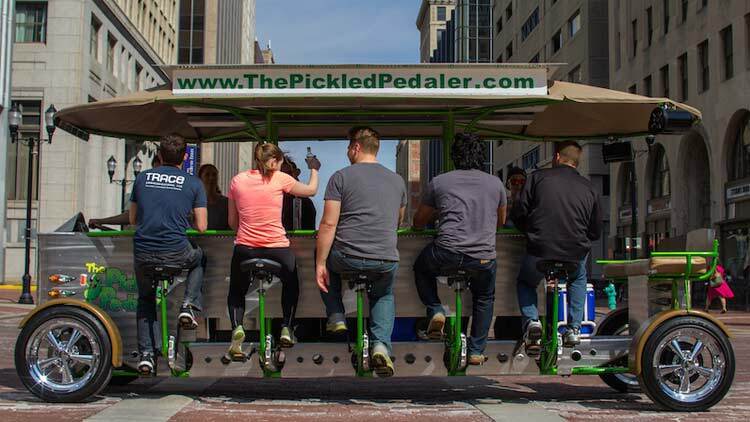 All tours start at 602 Virginia Ave. Book your party now at www.thepickledpedaler.com Questions? Call 317.877.0624.